Johannesburg - There had been a "dismal failure" to transform South African rugby, violating the rights enshrined in the Constitution, according to papers filed in a bid to stop the Springboks from competing in the Rugby World Cup. Minister of Sport Fikile Mbalula and the South African Rugby Union (SARU) were guilty of "gross mismanagement, incompetence and ineptitude", the Agency for New Agenda and its leader Tshidiso Mokhoanatse argued in papers before the High Court in Pretoria. 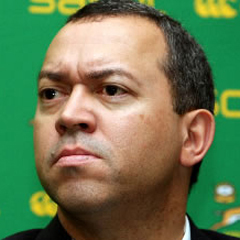 The respondents are the minister of sport and SARU and the matter is expected to be heard on Wednesday. The criteria used to select the Springbok rugby team were biased in favour of one section of the population and the team did not represent the country's demographics, Mokhoanatse argued. For this reason he wants the Springbok rugby team to be prevented from competing in the Rugby World Cup, which starts in England and Wales on September 18. All members of the team should surrender their passports. The party wants the court to order a judicial commission of inquiry to investigate the lack of transformation in South African rugby over the past 21 years. Mokhoanatse was defending the Constitution and wanted to "consign to the rubbish bin of history all vestiges and remnants of racial bigotry, racial exclusion and discrimination". In a letter to World Rugby Council (WRC) chairperson Bernard Lapasset, dated August 29, Mokhoanatse expressed his indignation at what he said was the organisation's continued support for racial segregation in South African rugby. "South African rugby was, and still is, a white man's sport, excluding and marginalising the majority black population… and this happens under the watch of your organisation and council." He wants the WRC to condemn the continued exclusion of blacks from the national team, suspend South Africa's membership and prevent it from competing in the Rugby World Cup. Coach Heyneke Meyer picked nine players of colour for the team announced on Friday. This was in line with SARU's target that 30% of the team meet transformation requirements.